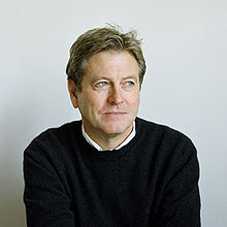 John Pawson is one of the world’s leading architects best known for his minimalist approach to all of his work. But as architectural photographer Jim Stephenson discovered Pawson is also an obsessive and accomplished photographer. Architecture is a profession that tends to lend itself well to obsession. John Pawson is an architect, renowned for his beautifully minimalist spaces (the Cistercian monks he designed a monastery for in the Czech Republic worried he was “too austere”), but he has another obsession: photography. He takes up to 500 pictures a day as he travels the world and makes sure that the staff at his London office have cameras to document their site visits. He’s even given cameras to clients once they’ve moved into the house he’s designed for them, so that they can continue the documentation. Over the last year, he’s been editing some 230,000 images to produce his first photography book, A Visual Inventory. John: I never intended to publish a book of my images. I mean, I’m an architect, not a photographer. I use photographs as a tool for my work, as a sort of note-taking. The book came about when I was stuck in Milan with my wife after the ash cloud meant our flight home was cancelled. I was talking to Richard Schlagman (the then owner of Phaidon); he owns this amazing Marcel Breuer house on Lake Maggiore and he invited us to stay, which was perfect. There’s nothing more of a treat for me to stay in a sublime modernist house like that! I took thousands and thousands of photos whilst I was there. Eventually I edited them down to six and sent them to him. He just said “you should do a book for us”, so I got together a set of images. When he saw them he said “what are these?” because they weren’t beautiful minimalist architectural shots. Jim: Is that what you’d done previously? John: Yes, I hadn’t done snapshots. They might have been things he hadn’t seen or noticed before, but they were framed and composed images. Plus, I knew what had been taken before, so I didn’t want to repeat that. It all went from there. Jim: Obviously taking pictures is important for you. Is it an obsession? John: Well, I’m obsessive by nature, but I wouldn’t say it’s especially important to me. There were two reasons why I started taking so many photos; one was this really thin Casio camera I could fit into my breast pocket, which I have on me all the time and the other was that it was digital so I could snap away without it feeling wasteful. I used to do the same with film but I’d have piles and piles of negatives of the same thing from Snappy Snaps. That felt wasteful. Jim: So it was a series of technological advances as much as anything? John: I think so, yes. Jim: Do you still have all those negatives? John: Oh yes, I do have them somewhere. Jim: Maybe that’s a second book? A prequel? John: [Laughs] The interesting thing is, as you’ll know, that having an idea and making it happen are two completely different things. I’ve learnt that if you have any idea, or one is presented to you (as with A Visual Inventory), you have to act on it straight away. The logistics would be incredible to do a book from the negatives, but I’d love to do it. I just have to find the right person who would enjoy putting it together! Jim: So you need someone who enjoys cataloguing your work? Jim: Is there an attraction with the speed of your photography, compared to that of the architectural process, which tends to be measured in years rather than fractions of a second? John: Definitely, yes. But I think what’s interesting to me is that photography forces you to look at things more closely, both before you take the picture and afterward. You start seeing things framed, like vapour trails in the sky crossing telegraph wires for example. You start seeing photographs everywhere. I like being able to capture that with the camera in my pocket. Jim: Do you always have your camera on you? John: Funnily enough, I’ve left it at home on the kitchen top today. I gave my wife my old camera, but it’s really similar to the one I use now so I keep picking up the wrong one. Jim: You must see images everywhere. It must be incredibly frustrating when you leave your camera at home? John: Well, in a worse case scenario I’ll just grab someone else’s. I haven’t actually grabbed a strangers, but I wouldn’t put it past me. Jim: I like that idea. John: I’ve said “I need your camera” before, because of course it’s not the same as having someone else take the shot for you. You can be standing in the same bloody place and get a completely different photograph. Jim: Do you ever use your phone to take pictures? John: Only when my camera has run out of battery or memory. I never thought it’d be possible to run out of memory when you have a 32GB card. Jim: I only ask as the nature of the photos you take seem like they’d be well suited to micro blogging sites, something like Instagram. John: Yes, a client made me become a member. Isn’t it all square format with filters though? John: Ah, all the images in the book are unadulterated. Not cropped or tweaked. Jim: Was that important to you? John: Yes it was. I had a few shots that looked professional – I flatter myself! I took them out because I wanted the book to be snapshots, or “snatched shots”. I don’t go for a walk to do a photographic essay. I never go out to take photos, they’re always while I’m doing something else. I actually had a lot of people in my shots in the first edit, but Phaidon took them out. I understand why now, because photographing people well is a whole other specialised art. Jim: I’ve heard you talk before about the choreography of architecture, and how important people are in your architectural work though. John: Yes, it’s a curious thing. You design spaces for people to be in and live in, but end up taking the people out for the photographs. It’s very tricky to photograph architecture with people in. Jim: You have to get them in, but make sure the building is still the subject. So, it was Phaidon’s decision to take the images of people out? John: Well yes. There were several reasons. One was that they were more recognisable as other photographer’s work, “Martin Parr does it better”. That sort of thing. The book is more about how I see. Jim: The edit is really important, that second opinion. John: Oh yes, you have to have that. I would never have trusted myself, I’ve never thought of them being worth publishing. To be honest, I’m rather surprised by the dignity afforded to them in such a beautiful book. Nick in the office did the design and Rory the edit. We all had a go at the pairing. Jim: The pairing of the images in the book across two pages works very well. John: It does. When you’re laying out the book, you can have one image per spread, but then it looks like a catalogue. You can have two per spread but then they have to get on. Or you can have lots and lots on a page. So, we went for two; that’s how the pairing came about. We wondered about themes, but hopefully you pick up on subtle themes as you go through. The pairings are sometimes particularly architectural, or have a joint meaning, but others just look good together. It was funny when I had the book in dummy form and I took it to some friend’s for the weekend. People were picking it up and really going through it – nobody does that with my architecture books! It seemed accessible. Jim: There’s been work like yours in the past, with a similar ‘snapshot’ aesthetic that’s been published with long essays, adding a huge weight of intellectualisation that wasn’t always necessary. They could have just been a series of beautiful images on their own. The short descriptions you have on each image work well and avoid being pretentious. Maybe that helps your photography be accessible? John: A lot of people take a lot of good photos, or they take a lot of photos with some good ones. When you look at all these photography blogs where people post snaps of what they’ve seen during the day, the quality is actually really good and I was worried how my work would stack up against that. Jim: The images you take are everyday scenes that might easily be missed. Do you think 30 years in architecture, a visual training, helps you see more? John: Oh yes, I think you notice a lot more. I think I probably have a heightened visual sense that comes from my training. Funnily enough, I have very good hearing as well, which can be pretty annoying! Touch also. I love looking out of the window on aeroplanes. I can’t understand people who don’t. I mean, I understand some people’s anxiety of course, but I can’t bear to not be able to look out the window. Not just to take pictures, but it seems endlessly fascinating, particularly when the plane is going through the clouds and you have a sense of movement and the speed you’re travelling, like being on a magic carpet for a moment. Jim: That hasn’t diminished with all of the travelling you do? John: No, no. It’s always different. Jim: You lived in Japan for a long time, where they have a really strong culture of photography, and more specifically, of cameras, was that an early photographic influence? John: I was amazed by Japan because they’re obsessed with it. I was living there in the 70s and tourists would have Hasselblads and plate cameras, just for family holiday snaps. Jim: You’ve mentioned before that you can’t sketch. Is photography an alternative to that form of visualization for you? John: Yes. It’s a notebook really. A lot of it is to do with a project (an architectural project) that I’m working on or a place I’m visiting for work. Things I’ve seen on projects that I like or I don’t like so I can share them in the office. Although, there’s none of our buildings in the book, there might be one or two, but they’re not instantly recognisable as our work. Jim: Was that a conscious decision? John: It just didn’t make sense when we were laying it out. We use photography a lot at our office, we commission photographers to document the site, the local area, the vernacular, the construction process and of course the models and the final project. Jim: A lot of images in the book concentrate on light and shadow, texture and surfaces – all very important in architecture. How closely do you see the link between the two disciplines of photography and architecture? John: Well, I can’t imagine being an architect without photography. But then I also have this frustration of trying to show clients something in two dimensions that is supposed to be experienced in three dimensions. For instance, this marble [pointing to a material sample in John’s office]; trying to photograph that, to show the subtlety of the texture and the luminosity of it. If I gave that to a photographer, could they bring it to life? That’s what I’m trying to do with materials and light. We went to see a house at the weekend that had some barns attached. Something about the barns and the house didn’t quite feel right and when I got home I thought the photos I’d taken made it feel better than the reality. They were lusher. The camera was a filter and it recorded all sorts of things that I hadn’t had the time to notice when I was there. But that’s not normally the case. There’s a danger that the camera gets between you and the experience and, to be honest, sometimes I’ve gone somewhere and I can’t remember a thing. All I have is the photographs. But on the other hand, I’d rather that because there’s no way with the kind of lifestyle I have now that I’d be able to take in everything. Jim: Have you ever considered using moving images to record what you’re seeing? John: Oh definitely. I will one day. It’s just getting so much easier. Actually, it’s incredible how easy it is now. It’s insane really isn’t it? Jim: Definitely. It’s an exciting time! A lot of the time a photographer will use a book or an exhibition to draw a line under a body of work. It doesn’t sound like that’s your intent? John: It does help you to take stock I suppose; I’m certainly not drawing a line though. People used to ask, “Is he suddenly going to go all colourful and wacky?” I think they’ve got bored of asking now. Jim: Are you going to go all colourful and wacky? John: That’s why the book has been such a treat, because the inspiration feeds the work, but it doesn’t mean that if I see a lot of red petals and take a picture of it all my buildings are now going to be red! Jim: I think those who know your architectural work might have expected a lot of photos of white, empty spaces – all very minimal. But it’s not like that; there are clearly a lot of influences at play. Eating, in 2001), I was expecting a lot of control, which didn’t happen. I was expecting to do a lot of white fish, but there’s a lot of blood and tomatoes in it!